I have come across a remarkable true story involving Sergeant York (Gary Cooper's most famous film). Here is a one page synopsis and copy of the script is available here. Please contact me if you are interested in making a movie of this fascinating story. A fast paced telling of the surreal life of Australian conman, Tom Skeyhill, the Blind Singing Soldier of the Great War – culminating in his tenacious campaign to persuade US war hero, Sergeant York, to cash in on his war diaries. Tom and Sergeant York tells the parallel stories of Tom Skeyhill and Sergeant Alvin York — one a conman, the other a hero. 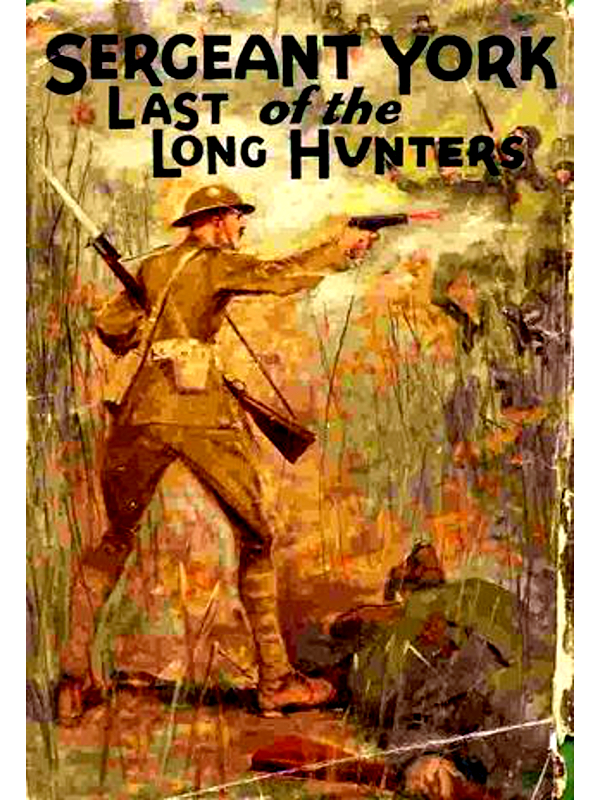 In 1927 Skeyhill became fascinated by the story of Sergeant York, America’s great hero of the Great War. Although initially opposed to war on religious grounds, York had single-handedly killed 25 German soldiers and captured 132. Skeyhill’s military service was less glorious. During the Gallipoli campaign of the First World War, he was traumatized by an enemy bomb. Although he suffered no visible injury, he declared himself totally blind. 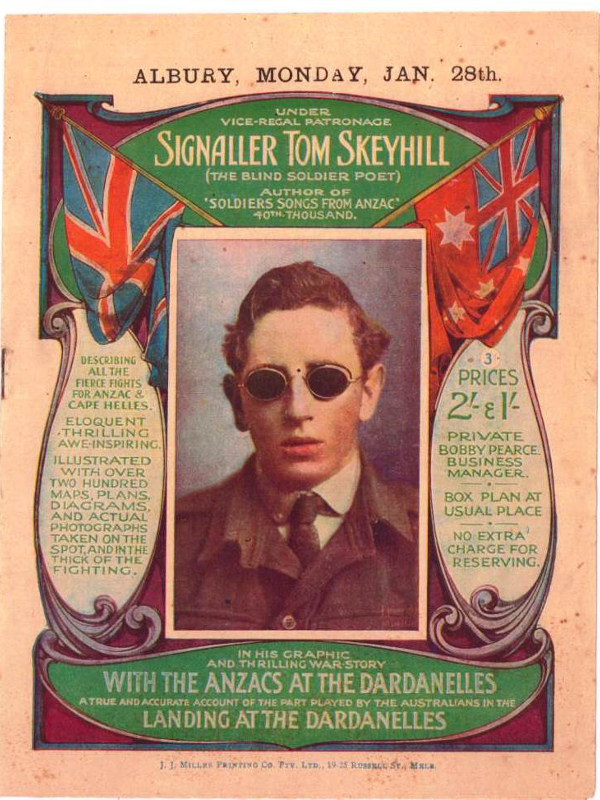 Repatriated to Australia, Tom threw himself into the patriotic and recruitment circuit, where he was billed as the Blind Singing Soldier of the Trenches and a performer of songs of the First World War. He was so successful that he was invited to the United States to sell Liberty Bonds. He appeared on the same platform as President Woodrow Wilson and became friends with Teddy Roosevelt. After the war Skeyhill claimed to be miraculously cured of blindness. He then turned his attention to Sergeant York’s story. However, as Tom Skeyhill soon discovered York was reluctant to make money out of the death of others. So began Skeyhill’s long battle to persuade York to co-operate on a true-life bio, as both men came to terms with their past. The film, ‘Sergeant York’, based on Skeyhill’s book, was the highest grossing movie of 1941 and won Gary Cooper the academy award for best actor.